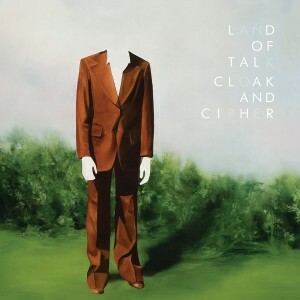 The sweet Canadian pop trio known as Land of Talk are making a stop into Austin at The Parish on Friday night. 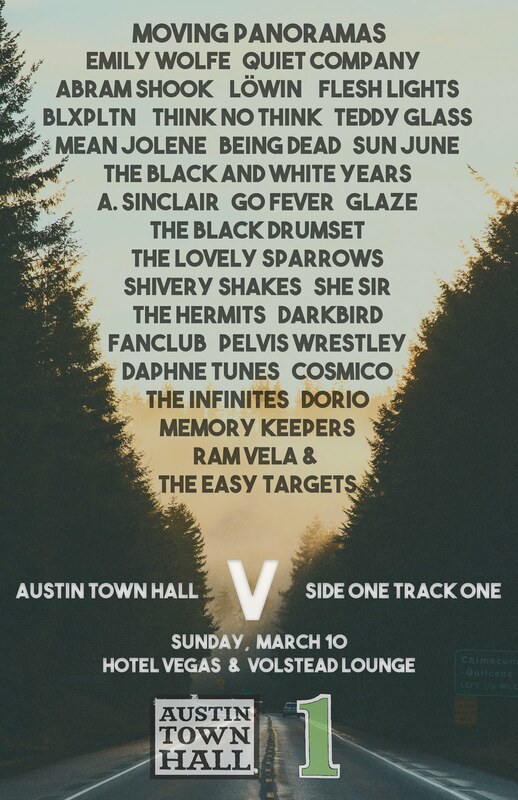 Joining Lizzie and the gang on stage are Secretly Canadian group Suuns and locals Pink Nasty. We’ve been looking forward to this one for awhile so we’ll be in attendance and suggest you be there as well. Do it! When we last checked in with Lizzie Powell, she was on the road with Broken Social Scene, playing the role of chanteuse. Now, she’s returned with her own group, Land of Talk, offering up their latest work since 2008’s Some Are Lakes. The new album, Cloak and Cipher, shows a much more developed band, and one that lives up to the early promise of the band. When you listen to Powell’s vocals on the majority of opener “Cloak and Cipher” she has that same jazz vocal coating that BSS utilize, but in the chorus you find a much more distinguished lady, coming off a little gentler, a little more intimate. There’s a driving drum line, that while not the most creative, serves as the driving force behind the track. “Goaltime Exposure” has a lot of relatives in the Canadian scene, possibly too familiar, but the moment the song is turned on its side, magic is unleashed upon the listeners. Powell’s voice is beautiful here, and there seems to be some sort of emotional release from the music itself, only to go back into the gentle progression before erupting in joy yet again. The progression of Land of Talk is the one surprising element that does a great benefit to show the beauty on the album, as well as the strength of the band. 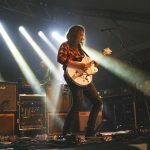 “Swift Coin” opens up with a nicely drenched bit of reverb atop pounding drums, then Powell enters, and the mood changes. Soft vocals provide a different texture to this song, letting the tension build until the chorus crashes in on the listener’s ears. It’s quite similar, minus the pop element, to “The Hate I Won’t Commit,” which has to be the noisiest song the band has recorded to date. Swirling guitar textures and effects used on the vocals create an entirely different emotion, until the band switch the tempo on you, giving you a little musical wink before pushing off into the louder spectrum again. Such changes provide Cloak and Cipher with a lot more variance in the listening experience, making this record ultimately more rewarding than their previous effort. It all closes with a solemn affair, “Better and Closer.” Guitars are used sparingly, creating a sort of wall of noise that will accompany Powell’s voice for the duration of the track. Elizabeth’s performance really sums up her talents as they’re seen throughout the LP. It rises quietly, yet with an angelic quality; it drenches the entire record in a coat of wintery pop tones that go a long way to establish the mood within each song. Closing out Cloak and Cipher, you can be sure that this band is now finally hitting their stride, coming together in a cohesive manner we’ve yet to see from them. 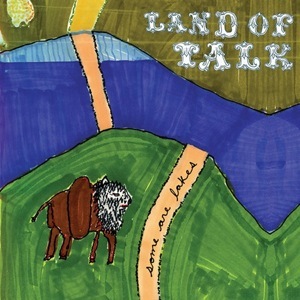 To date, this is the best collection of songs by Land of Talk, and it goes a long way to establish the group as one of the new powerhouses in Canadian pop music. Montreal’s Land of Talk have a new EP headed your way, but it won’t be the easiest thing to find in the world, so you should probably get it from Saddle Creek Records while you can. The Fun and Laughter EP features four new tracks, and several videos. We’ve got one of these new songs to offer you today, so enjoy, and don’t forget to get your hands on this while you can. Land of Talk is yet another band from Montreal, Canada, intent upon re-creating pop music in their own likeness and bringing it to your ears. Their latest effort, Some Are Lakes, has just been issued by Omaha label Saddle Creek Records. 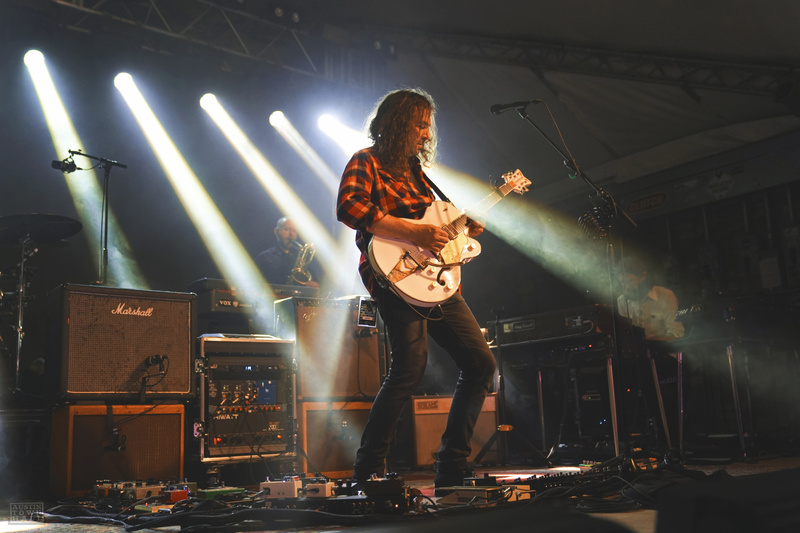 According to press information, the opening three songs of the album seem to revolve around the band’s earlier sound, which seems to reflect the earthy undertones of the album’s title track. It is a female-dominated sound that recalls similarities between various Canadian acts that have made their way south of the border. While these first three tracks definitely showcase the band’s musical repertoire, there isn’t anything too remarkable from these first glimpses. Then they come straight at you with “Some Are Lakes,” which features stronger vocals from front-woman/guitarist, Lizzie Powell. Here you will find the band cleaning out their sound, ridding the song of extemporaneous noise in place of a more direct approach to your ears. “Give Me Back My Heart Attack” has the band going back a few steps, those this song definitely has a stronger groove than the opening tracks present on the album. “It’s Okay” is one of the simpler songs on the album. Picture Amy Millan singing along to piano ballads and you’ll get the picture for this one. The band pulls it off, but it’s not altogether very inspiring. Then the band seems to pick it up from here. Land of Talk pushes forward with more Canadian influences, but they do it this time with a certain brashness that makes it all seem more worthwhile; it comes off a lot more personal. At its best when they unleash their guitars, they pull them back momentarily for what is the album’s stand out track, “Got A Call.” As it sweeps in and out, it sweeps you away in the process. After all that progress they sum it all up with an acoustic number that doesn’t seem to stray to far from the works of Feist, which is not necessarily a bad thing, it just makes the album feel entirely too uneven. Some Are Lakes is an album with varying levels of accomplishment, and those mainly come in the form of a band that let’s loose on the listener, releasing the power they seem to hold back for the majority of the album. It all ends without the band establishing itself as the predominant force in the music presented here, and they fail to step out of the shadow of the Canadian heavy hitters.